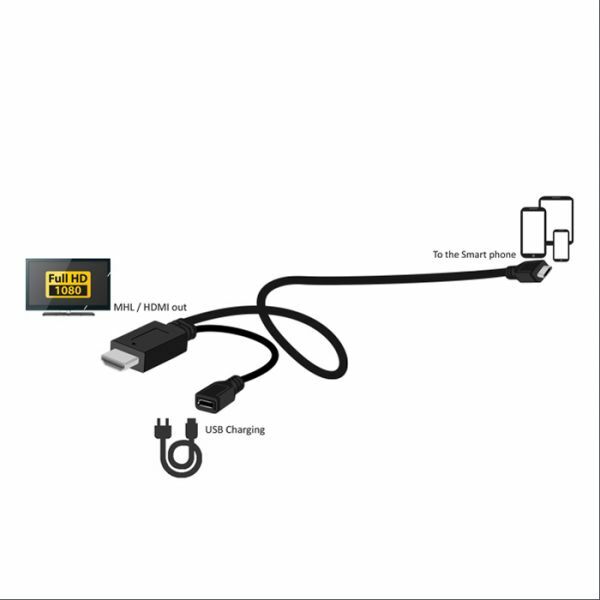 This is the MHL HDMI 1080P HDTV Adapter Cable. With this product, you can watch movies and videos stored in your smart phones in full quality on your HDTV, external monitor, or projector. 2. Connecting the USB power connector to the computer or the wall power charger. Then supply the power for this product while use it, or it cannot output the videos. 4. Then it can directly sync output the interface of the phone to the displayer, Just plug and play, without need any set.